Origins and Evolution of Cross-cultural Communication. Typically anthropologists and social scientists tend to study people and human behavior among exotic tribes and cultures living in far off places rather than do field work among white-collared literate adults in modern cities. Advances in communication and technology and socio-political changes started transforming the modern workplace yet there were no guidelines based on research to help people interact with other people from other cultures. To address this gap arose the discipline of cross-cultural analysis or cross-cultural communication. The main theories of cross-cultural communication draw from the fields of anthropology, sociology, communication and psychology and are based on value differences among cultures. Edward T. Hall, Geert Hofstede, Fons Trompenaars, Shalom Schwartz and Clifford Geertz are some of the major contributors in this field. A simpler definition is ‘the unwritten rules of the social game’. Values – Values are ideas that tell what in life is considered important. Norms – Norms consists of expectations of how people should behave in different situations. Artefacts – Things or material culture – reflects the culture’s values and norms but are tangible and manufactured by man. 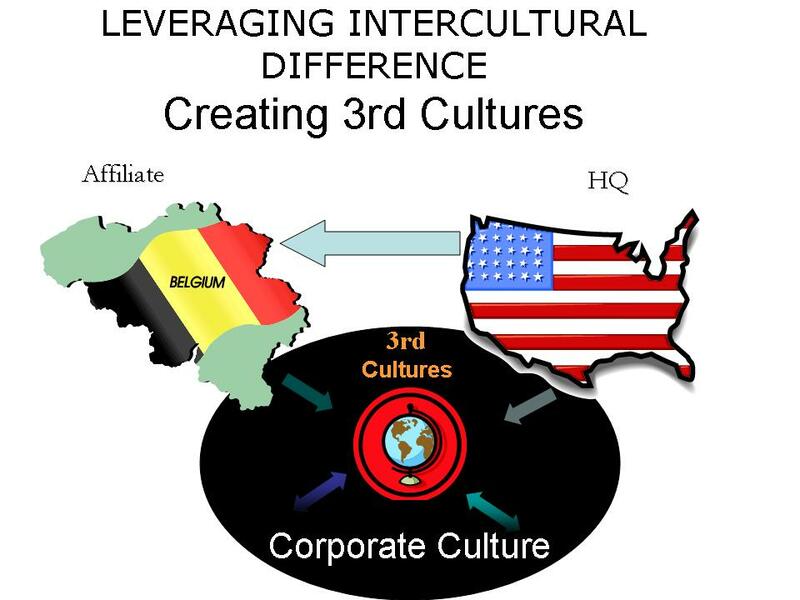 Most of people working with cross-cultural communication and intercultural training and coaching have heard about the Five Hofstede’s Intercultural Dimensions (http://www.geert-hofstede.com/). Geert Hofstede defines culture as “the collective programming of the mind distinguishing the members of one group or category of people from another”. The “category” can refer to nations, regions within or across nations, ethnicities, religions, occupations, organizations, or the genders. What about the 5 Cultural Dimensions For the USA? If we explore the US culture through the lens of the 5-D Model, we can get a good overview of the deep drivers of American culture relative to other world cultures. Power distance: The United States score low on this dimension (40) this translates the focus on equal rights in all aspects of American society and government. Within American organizations superiors are always accessible and managers rely on individual employees and teams for their expertise. Both managers and employees expect to be consulted and information is shared frequently. At the same time, communication is informal, direct and participative. Individualism: The United States, with a score of 91 on this dimension, is a highly individualistic culture.Individual freedom is the most basic value that all Americans share. Individuals have control over their own destiny and they want to have free choices on every topics. Personal success is priority number one. Americans are expected to take initiative regarding education, employment, personal development or well-being. As a consequence, Americans are assertive and straightforward while interacting with others and sometimes labelled as arrogant by other cultures who value group interests over individual success. In the business world, employees are expected to be self-reliant and display initiative. Also, within the exchange-based world of work, hiring and promotion decisions are based on merit or evidence of what one has done or can do. Masculinity/Feminity: The United States score 62 on this dimension and is considered a “masculine” society driven by competition, achievement and success, with success being defined by the “winner” or “best-in-the-field.” This value system starts in school and continues throughout one’s life – both in work and leisure pursuits. There are strong shared values that people should “strive to be the best they can be” and that “the winner takes all”. As a result, Americans will tend to display and talk freely about their “successes” and achievements in life, here again, another basis for hiring and promotion decisions in the workplace. Typically, Americans “live to work” so that they can earn monetary rewards and obtain higher status based on how good one can be. Conflicts are resolved at the individual level and the goal is to win. Uncertainty avoidance: The dimension Uncertainty Avoidance has to do with the way that a society deals with the fact that the future can never be known: should we try to control the future or just let it happen? The US scores 46 on this dimension and therefore, American society is what one would describe as “uncertainty accepting.” Consequently, there is a larger degree of acceptance for new ideas, innovative products and a willingness to try something new or different, whether it pertains to technology, business practices, or foodstuffs. Americans tend to be more tolerant of ideas or opinions from anyone and allow the freedom of expression. At the same time, Americans do not require a lot of rules and are less emotionally expressive than higher-scoring cultures. Long-term orientation: The United States scores 29 on this dimension and is a short-term oriented culture. American businesses measure their performance on a short-term basis, with profit and loss statements being issued on a quarterly basis. This also drives individuals to strive for quick results within the work place. There is also a need to have the “absolute truth” in all matters. How France Compares with the US ? Power distance: In France, hierarchy is needed the superiors may have privileges and are often inaccessible. The power is highly centralized in France. In management, the attitude towards managers is more formal, the information flow is hierarchical. The way information is controlled is even associated with power, therefore unequally distributed. Individualism: France scores high on the individualistic index but lower than the U.S. This means that the French favor individual and private opinions, taking care of themselves and immediate family rather than belonging to a group. In the work environment, the relationship with work is contract based, the focus is on the task and autonomy is favored. The communication is direct but much less than in the U.S.
Masculinity/Feminity With 43, France is a relatively Feminine country and so very different from the U.S.With its famous welfare system (securité sociale), their 35 working hours/week and 5 weeks holidays per year, France cares for its quality of life and focuses more on work in order to live than the reverse. Competition amongst work colleagues is usually not favored. Material signs of success, especially flashy ones, should not be too visible. Uncertainty Avoidance: France has one the highest scores on the Uncertainty Avoidance Index. Certainty is reached through academic work and concepts. Teachings and trainings are more inductive. In management structure, rules and security are welcome and if lacking, it creates stress. Therefore planning is favored, some level of expertise welcome, when change policies on the other hand are considered stressful. Long-term orientation: At 39 France is a short-term oriented society. This means a great respect for tradition as well as a need for norms and absolute truth as guidelines. In terms of business this short-term orientation focuses on quick results. Consumption is driven by immediate gratification, sensitivity to social trends and rituals. Cross-cultural communication or inter cultural communication looks at how people from different cultural backgrounds try to communicate. It also tries to produce some guidelines, which help people from different cultures to better communicate with each other. Culture has an interpretative function for the members of a group, which share that particular culture. Although all members of a group or society might share their culture, expressions of culture-resultant behavior are modified by the individuals’ personality, upbringing and life-experience to a considerable degree. Cross-cultural analysis aims at harnessing this utilitarian function of culture as a tool for increasing human adaptation and improving communication. Cross-cultural management is seen as a discipline of international management focusing on cultural encounters, which aims to discover tools to handle cultural differences seen as sources of conflict or miss-communication. One of the weaknesses of cross-cultural analysis has been the inability to transcend the tendency to equalize culture with the concept of the nation state. A nation state is a political unit consisting of an autonomous state inhabited predominantly by a people sharing a common culture, history, and language or languages. In real life, cultures do not have strict physical boundaries and borders like nation states. Its expression and even core beliefs can assume many permutations and combinations as we move across distances. There is some criticism in the field that this approach is out of phase with global business today, with transnational companies facing the challenges of the management of global knowledge networks and multicultural project teams, interacting and collaborating across boundaries using new communication technologies. This entry was posted in American Culture, communication, Cross cultural, culture shock, Executive Coaching, expatriates, global, Global Economy, Global Executives, HR Management, international coaching, leadership, Negotiation, United States and tagged Clifford Geertz, Cross cultural, Cross-cultural communication, cross-cultural management, Cultural dimensions, Edward T. Hall, Fons Trompenaars, France, Geert Hofstede, Global Leadership, Hofstede's cultural dimensions theory, intercultural leadership, international management, United States. Bookmark the permalink. 11 Responses to How To Understand Cross-Cultural Communication ? very pragmatic for those who are interested in this area. Good job. Given different cultural contexts, this brings new communication challenges to the workplace. Even when employees located in different locations or offices speak the same language (for instance, correspondences between English-speakers in the U.S. and English-speakers in the UK), there are some cultural differences that should be considered in an effort to optimize communications between the two parties. Without getting into cultures and sub-cultures, it is perhaps most important for people to realize that a basic understanding of cultural diversity is the key to effective cross-cultural communications. Without necessarily studying individual cultures and languages in detail, we must all learn how to better communicate with individuals and groups whose first language, or language of choice, does not match our own. I came up with the idea of “mayonnaise” to represent culture. What you first see in a good mayonnaise is an homogeneous yellowish cream. But in fact if you look at it under a microscope, it is made of small droplets of water with different sizes and shapes dispersed in an homogeneous oil phase. Everybody knows that water and oil don’t mix together and that you need other ingredients such as emulsifiers to have a stable mixture looking homogeneous from the outside. I like to think about the droplets of water (coming from the egg yolks) with different shapes and sizes as individuals who stay together because of a set of rules, thinking process, behaviors or other cultural norms (those can be compared with the emulsifier found in egg yolk, the lecithin, a component soluble both in water and oil ). The oil can represent the most obvious and visible component of the culture. 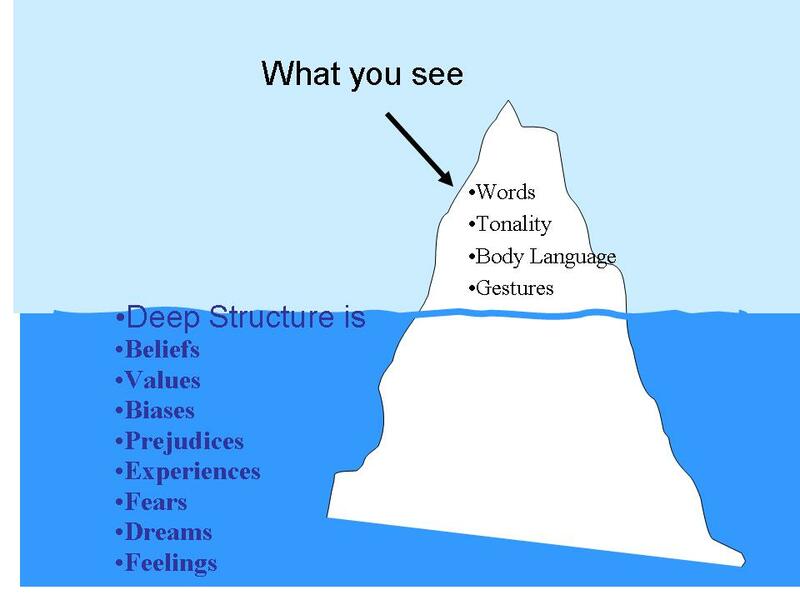 So in short culture is not only define by what you see but you need deep immersion to understand each individuals who are unique yet hold together by explicit and not so explicit rules or norms. How about you ? Do you have a better metaphor to explain culture ? In my 35+ years experience in international business, national culture frequently has less of an effect than organizational culture and professional training. Keep up the good work! This article is helpful in highlighting categories to look at when entering into relationships with firms from other countries. These are the most important categories in the literature in the 70s, it seems. Have you looked at more recent research to see where they stand on the these 5 categories? Do people look at more, fewer, or different categories now? Also, I love the “internal vs external” dynamic; I’ve seen it in practice. But I would say that “environment” may not describe it completely, because it is expressed often in theological terms. In listening to US military personnel in Iraq, they are frustrated with the “in sha allah” (“If God wills”) attitude, as the Americans call it. The opposite is “manifest destiny,” or, whatever we do constitutes God’s will. Hi Anne, very interesting article. A summury of cross cultural approach. And yes culture doesn’t stop with Nation. That where it starts… and never end! Thanks Natalie for your comment. Cross-cultural communication is indeed a huge subject and really a hot topic nowadays as people experience the dynamic of a global economy. Good article and I really like the graphic. I had never heard of assessment via the Five Cultural Dimensions before and I found those criteria very intriguing. Our granddaughter just spent six weeks in France as part of her junior year internship in International Relations and I’m going to forward your post to her. Hi Sandra, I am glad you found the article interesting and would lo9ve to learn about your Granddaughter experience !